If you have never taken an ocean cruise, you may be wondering what the attraction is. People who do go on cruises rave about the experience, so it’s tempting to go find out what all the excitement is about. However, if all the good feedback still has you sitting on the fence, here are a number of great reasons why cruising may be for you. First of all, when you get on a cruise, you get a lot for your money. When you consider that most cruises include accommodation, food and entertainment, the amount you spend is very low compared to what you would have to lay out on a traditional vacation. In fact, if you look around for deals, you should be able to find cruises that cost you less than $100 a night. Where else could you get that sort of value? In fact, if you are willing to spend a little more and go on a luxury cruise line such as Crystal Cruises, then gratuities, wine and spirits, and high-end onboard restaurants will also be included in your fare. Another reason why a cruise is better than a traditional vacation is that you get to visit many different places in a single trip – without ever having to pack up and drive to your next destination. For example, take a look at Royal Holiday cruise vacations around the Baltic – you start off in Copenhagen, and then get to visit Oslo, Berlin, Stockholm, Helsinki, St. Petersburg and Talinn. How else could you make it around the entire Baltic region in just 11 days and see so many fascinating cities? And, if you could manage to do the grand tour, you would spend most of your time in airports and on trains, rather than relaxing on the deck or in your cabin. As well as giving you the chance to visit so many different places, cruising also gives you access to a huge range of onboard activities. No matter what you want to do – sun yourself by the pool, enjoy fine dining, take in a show or even take a yoga class – you are likely to find exactly what you want. 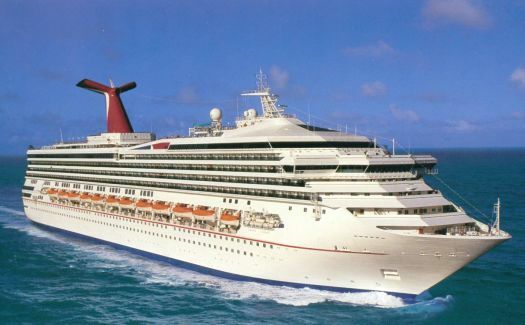 In fact, many cruise lines specialize in offering particular types of vacations. For instance, if you want a fun-filled family vacation, then Disney Cruise Line is a perfect choice. 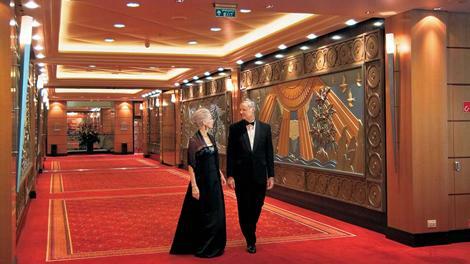 On the other hand, if you are looking for an upscale experience that includes formal black-tie events, then Cunard probably has what you are looking for. Finally, planning for a cruise is so much easier than getting ready to go on a regular vacation. Just pick the cruise that you want, pack, and you are ready to go. In fact, many cruise packages include your airfare as well, so you don’t have to spend time hunting down the best prices on flights. You also don’t have to worry about finding ways to travel between destinations or searching for hotels that you can afford – everything is already taken care of as soon as you choose your cruise.